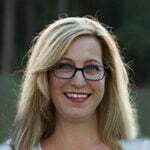 Be sure and check out the easy How to Make Peach Cobbler video below! Gorgeous round peaches hanging from those pretty trees that dot the landscape in middle Georgia are a sure sign that summer has arrived. And that means it’s time to make a good Southern Peach Cobbler, full of golden peaches surrounded by crisp, gooey, buttery goodness and a favorite dessert at every gathering. This peach cobbler recipe is a simple one that my Granny has used for years, as have many other fabulous Southern cooks. According to a History of Peach Cobbler, the dessert evolved from a traditional pie to the biscuit-type dessert we know today. I’ve taken the liberty of adding a little cinnamon, some grated nutmeg, and brown sugar to the peaches, along with a little brown sugar sprinkled on top of the batter just before baking. I also use half-and-half instead of milk, which makes the easy peach cobbler crust richer and more flavorful. My husband says this is the best peach cobbler recipe he’s ever tasted and I tend to agree! I’ve upped the amount of batter while still having plenty of flavorful juice from the peaches so there’s plenty of gooey crust—and everyone knows that’s the best part of the peach cobbler anyway! 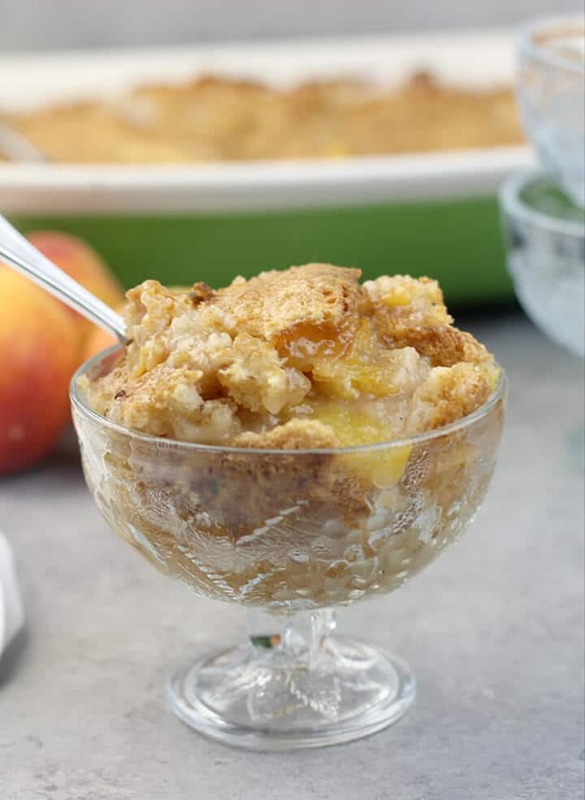 A staple in most Southern kitchens, a peach cobbler recipe is one of those family recipes that may go back generations. And there are so many versions of homemade peach cobbler. Some place a pie crust on top and bottom, others have a lattice crust just on top, like Monique’s Old Fashioned Peach Cobbler. Other recipes use an easy technique that makes its own crust, which is my favorite because it’s simple and I like the gooey crust that develops. 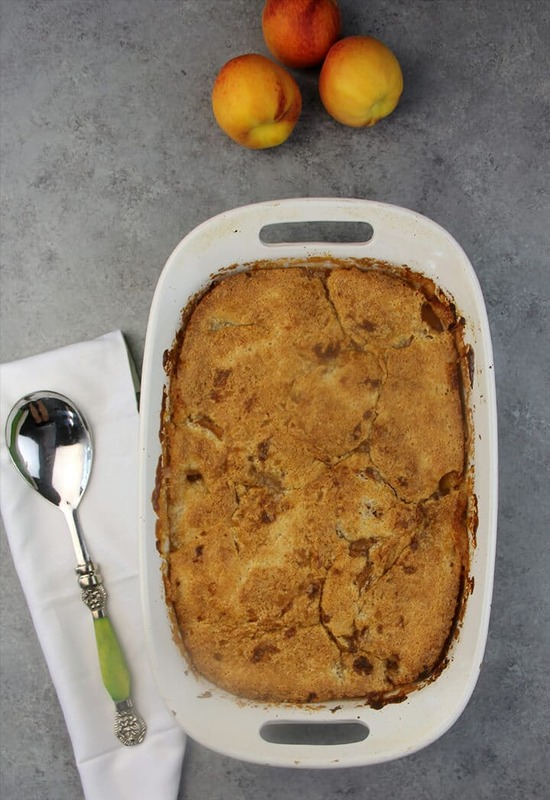 The method for making this old-fashioned peach cobbler is similar to my Chicken Pie, where you melt butter and simply stir together flour and milk to make a batter, which you pour over the butter. The difference for the peach cobbler is that you also add sugar to the flour mixture. There are no special tools needed for this easy peach cobbler recipe. 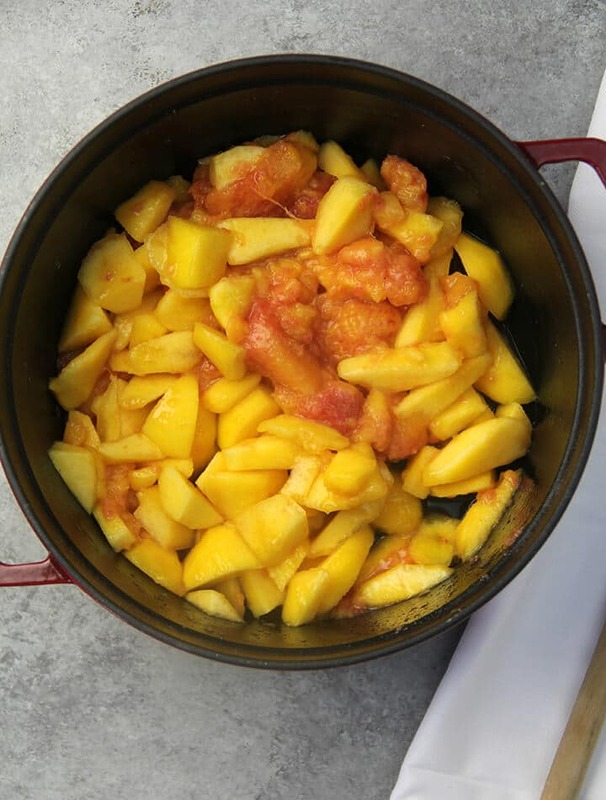 You need a 9×13-inch baking dish and a pot to cook the peaches in. That’s about it! I have made this peach cobbler recipe so many times that it’s second nature to me now and I don’t even pull out the recipe. It’s a great dish to take to potluck gatherings, so if you have a baking dish with a lid you are ready to go! One of the nice things about this recipe is that it transports well and you don’t have to worry too much about juice getting in your car. A lot of recipes for peach cobbler call for canned peaches and you could certainly use canned peaches in this recipe if you like. I do not because I just don’t like the texture of canned peaches. If fresh peaches aren’t in season then I prefer frozen peaches. Stir together peaches, brown sugar, water, cinnamon, nutmeg, and vanilla in a large saucepan or Dutch oven. Bring to a boil, then simmer about 5 minutes. **Pro Tip: If using store-bought frozen peaches, just take a knife and fork and cut some of them into smaller pieces. 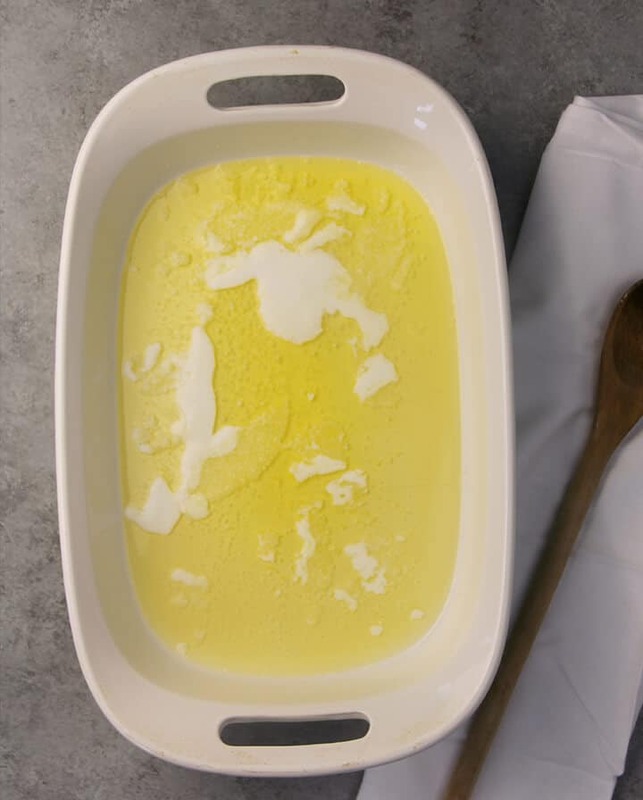 Melt the butter in a 13×9 inch baking dish. While the butter’s melting, whisk together the flour and sugar in a large bowl. Slowly stir in the half and half and whisk it all together until you have a nice, smooth batter. Once the butter is melted, slowly pour the batter over the butter but don’t stir. Then gently spoon the peaches and any accumulated juices over the mixture and do not stir. Sprinkle a little extra brown sugar over the top and bake for 45 minutes to 1 hour. Bake the peach cobbler until golden brown and bubbly on top. Yum! 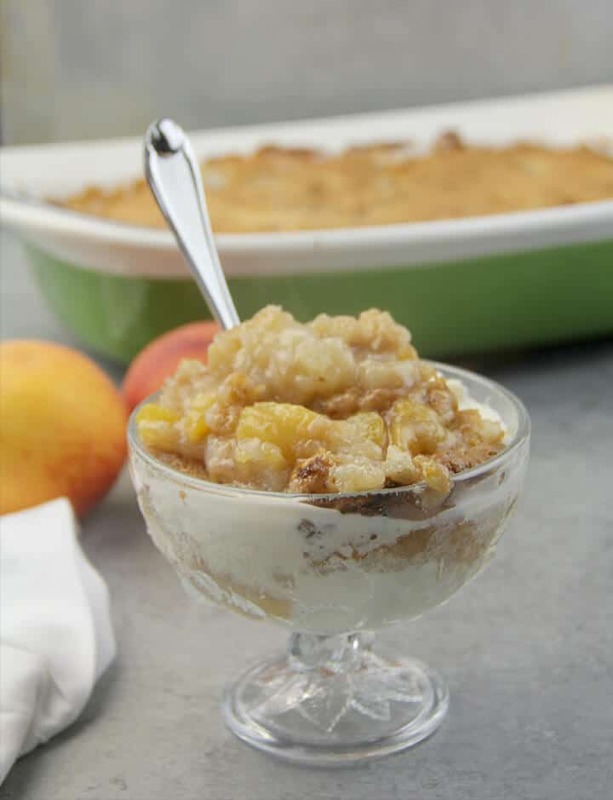 Serve your Southern Peach Cobbler hot or at room temperature with vanilla ice cream or homemade sweetened whipped cream. Enjoy! Use good quality butter as it’s the base of the crust. 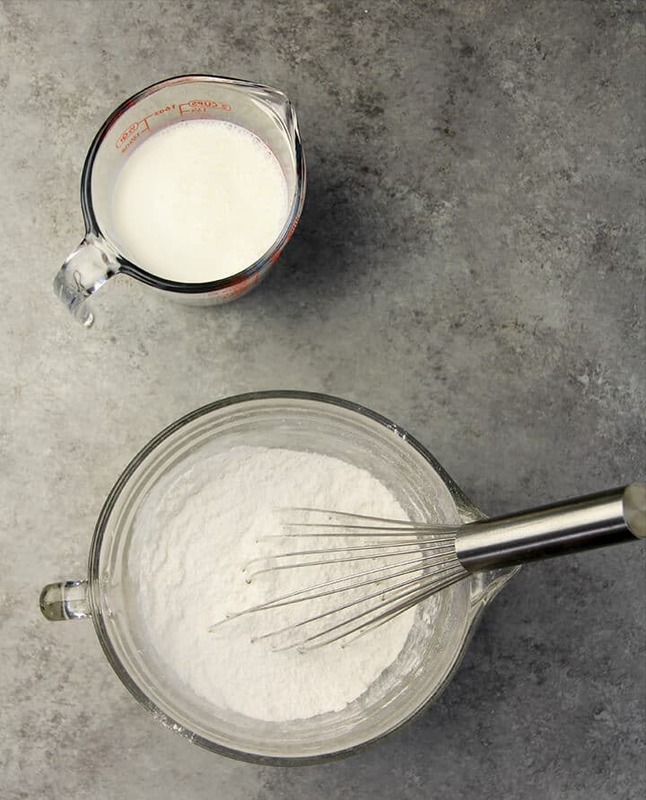 If using all-purpose flour, add a tablespoon of baking powder and a pinch of salt. Be careful not to over-bake the cobbler. Store the peach cobbler in the refrigerator for up to 5 days. This peach cobbler should be baked before frozen. To freeze, allow the cobbler to cool then wrap the dish tightly in plastic wrap. Cover the plastic wrap with aluminum foil and place in freezer. For best results, use within three months. 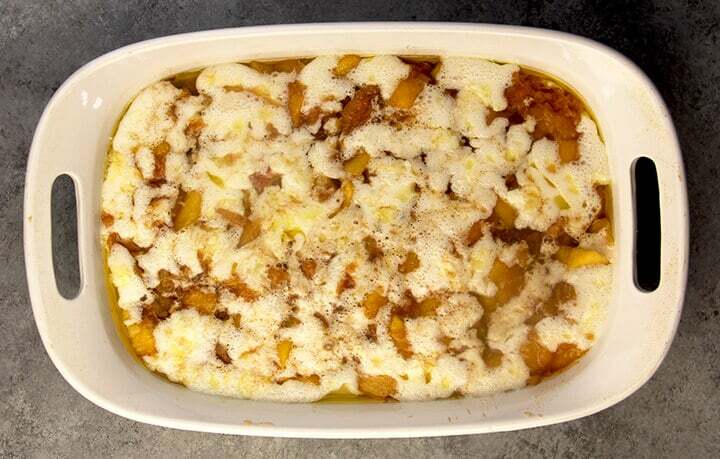 If you’ve tried this Peach Cobbler, please rate the recipe and leave me a comment below! The best peach cobbler made with fresh or frozen peaches, cinnamon, brown sugar, and a little half and half to make the crust rich and delicious. Preheat oven to 350. 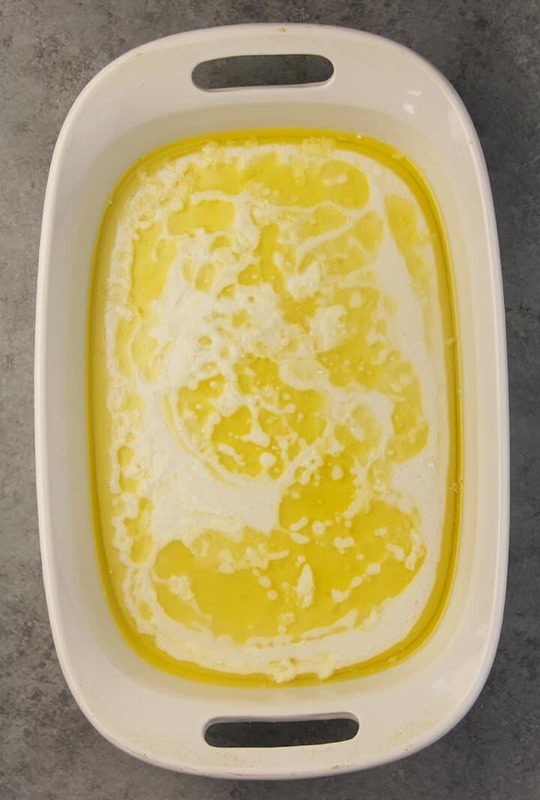 Place butter in 9 x 13-inch dish and melt in oven. Remove dish from oven when butter is melted. Cook peach slices in water with brown sugar, cinnamon, nutmeg, and vanilla until boiling then turn down to a simmer and cook for about 5 minutes. Stir together flour and sugar, then stir in half-and-half (or milk). Slowly pour the batter into the melted butter but do not stir. Gently pour peaches and accumulated juice over the batter. No stirring! Bake at 350 for about an hour or until crust is golden brown. Use good quality butter as it's the base of the crust. Update Notes: This post was originally published September 17, 2010, and on November 6, 2018, was updated with one or more of the following: step-by-step photos, video, updated recipe, new tips. I just made this, but I didn’t have any half and half so I did half cinnamon roll coffee creamer and half milk……it made it taste amazing. I made this today….just got it out of the oven and mmmmmm this is the best peach cobbler I have ever eaten! Put some fresh whipped cream on it! It is heaven! Thank you so much for sharing! Thank you so much! I’m so glad you enjoyed the peach cobbler–my family has been loving it for years. Thanks for visiting Southern Food and Fun!